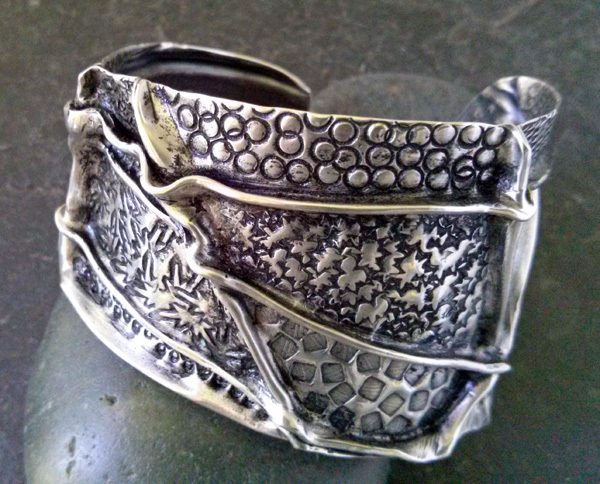 Create a stunning silver bracelet packed with texture and interest. 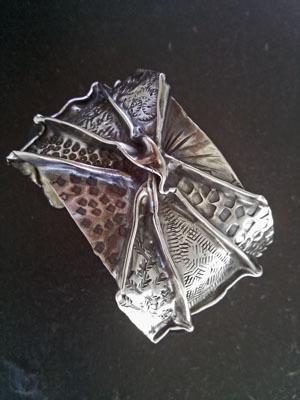 Practicing in copper or brass to learn the basics, you will quickly move on to your fine silver bracelet with line folds, stamping, annealing, synclastic and anticlastic forming, patinas to wear home your masterpiece. Assistant Renee Garver will be onboard to help guide you. 6.5" x 3" 24 g fine silver sheets for bracelets. 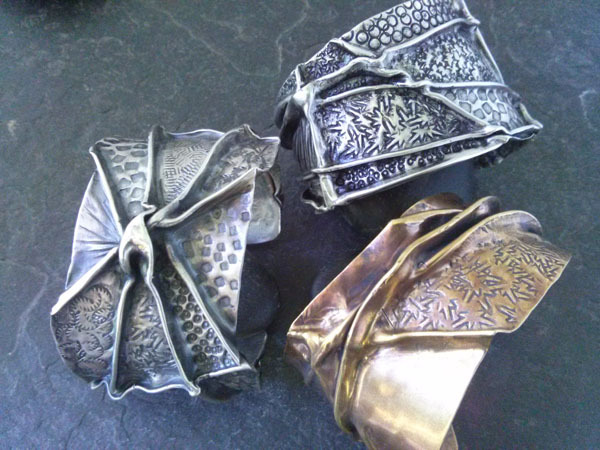 You can pre-order ahead of scheduled class, (by July 1st 2019), a longer length for those who have a larger than average wrist size (which is a 6" bracelet blank ) for the cost of the extra metal. I add 1/2" to what you normally need due to the folds, which result in shortened length.